Todd Kline came west to become a champion surfer, and bass fishing never seemed to be in the cards. At least until he decided to play cards. “I’d see bass boats going up to reservoirs when I was actually going to the casino on the Indian reservation, probably Barona (near San Diego),” says Kline, who has been both a surfer and an angler at the professional level. Perhaps next he’ll play in the main event at the World Series of Poker, but he’s made a living doing what drove him in his younger days in Florida before eventually relocating to Southern California. After seeing the world as a surfing pro – he still racks up the frequent-flier miles as a commentator for the World Surf League – Kline is a four-time bass tournament winner on the FLW’s Costa Series Western tour, where he’s earned about $125,000 in prize money fishing tournaments with the established professionals, though co-anglers who win tournaments can make a large purse. So, yeah – one week he might be interviewing some of the world’s elite surfers in Perth, Australia, and fishing a big tournament at Clear Lake the next – it’s good to be Todd Kline, who shared a little bit about hanging 10 and landing 10-pound largies. Chris Cocoles You have done a little of everything you’re passionate about. Are you kind of living the dream? Todd Kline I think about it all the time, how fortunate I am. I don’t think anyone’s getting rich doing it. But I see a lot of guys who might be wealthy financially but they’re not happy. And I’d rather have the happiness. CC Let’s go back to your younger days in Florida and how you evolved into who you are now. TK I grew up in Fort Lauderdale and where I spent the most time in my childhood and my teenage years was a little bit inland in Davie-Plantation. And I did a lot of bass fishing out there on the golf courses and canals and ponds. But I also did a lot of snook and tarpon fishing because where I actually lived on the water in Plantation was brackish and there was a pumphouse and dam where the freshwater met the brackish. And when those pumps would open up due to rain, the snook would just go ballistic. CC I know that some of Florida’s bass fishing can be epic. Did you have convenient access to it? TK Where I grew up we mainly fished at a lake called Sawgrass and Holiday Park, which is part of the Everglades. We went out on boats a lot out there, but as I started getting older we started doing more trips out to (Lake) Okeechobee. But whenI lived back there I just fished, and I think that’s what most people do; they grab their tackle box and grab a rod and if they catch fish, they catch fish; if they don’t, they don’t. But when I moved out here (to California) it was for surfing. And I didn’t know you could bass fish because freshwater’s not prevalent. But once I had some friends out here take me under their wings that I really started learning about fishing and understanding why that fish bit and why are they eating shad versus crawdads and those types of things. CC As a kid in Florida, you were in an area where fishing opportunities are endless, but what or who influenced you to love it so much? TK For me, my father started it initially, but I’d say 90 percent of the time that I fished in Florida I didn’t care if I went by myself or if a friend wanted to go. Sometimes I’d even go fish mullet and give them to some of the (locals). I just wanted to fish and I loved being on the water and getting outdoors. As a kid I wanted to be a park ranger. CC What are some of your favorite early fishing memories? TK I’ve got a ton of them. Some of the things that really stand out at a young age, I was probably 8 years old and I would walk to the dam near my house. There was an old man fishing live bluegill and just smashing big snook. Another time I was at Lake Okeechobee with my mom staying at a friend’s house. I was walking the bank and I’d caught a wild shiner on bread and it had died. I was almost trolling it from the bank and remember this big wake coming up behind it and I ended up catching about a 6-pound bass. I was with my dad at Okeechobee and ended up hooking a big one that got hung up on the tules and I started crying [laughs]. CC When did you discover surfing among all this fishing? TK Surfing came into my life a little later when I was about 13. And I thoroughly enjoyed it, but I gained a pretty quick success at it so it drove me to be better and better. It made me want to pursue it. And fishing and surfing did get similar in the sense that you don’t need anybody else; it’s just you, the environment and leaving the chaotic world behind. That’s what you do when you go surfing or fishing. That’s what I think the majority of people intend to do. CC I’m curious about the surfing culture in Florida. The East Coast isn’t known for having big waves like here and in places like Hawaii. TK Florida as a whole is very inconsistent for surf. From Palm Beach south it gets blocked by the Bahamas, so you miss a lot of it. The epicenter for surfing is Brevard County and that’s Sebastian (Inlet State Park) north (toward the Indian River and the cities of Palm Bay and Melbourne). I used to surf up there all the time and stay at friends’ houses. I used to spend a lot of time staying with Kelly Slater, the 11-time world champ. It’s very challenging to be a surfer there and what I think was positive was that you grew up on extremely small surf. When you surfed waves that small it made you a very good small-wave surfer. And it also makes you really read a wave where you have to calculate your turn properly. But once you were ready for a bigger wave, it was much easier. A lot of times when we would go to compete, whether it be anyone in the world, a lot of guys would already mentally lose. At the end of the day it’s just like a fishing tournament where the conditions are the same for everybody. If you mentally have your head in the game, you have a great chance of winning it. But if you want to sit back and complain and look at all the things that aren’t perfect, you’re probably not going to do so well. CC On the subject of surfing, is there a connection of any kind between a surfer reading a wave and a bass angler reading water that looks like it might hold bass? other social media and they’re catching 6-pounders, 8-pounders. But as soon as that tournament starts, you look through the list expecting to see them at the top and see that they only caught three fish. What happened? If you see this from these individuals time after time, you think, “Hey, this guy’s a great fisherman but as soon as they call for boat 32, and the guy takes off, all of a sudden his mind starts racing; “I need to go to this spot; no, I need to go to that spot. Throw the crankbait; no, throw the topwater.” And they’re done. So the point I want to make: The mental side of things when it comes to competitive fishing is very similar to fishing or any other sport or even work, for that matter. If you don’t have confidence and didn’t prepare properly, and you don’t believe in yourself up until the final cast, you’re probably not going to be very successful. CC Tell me about moving to California to chase the waves as a surfer at such a young age. TK I think I was about 20 or 21 when I got out here. I had a good friend who I grew up with in Fort Lauderdale and moved out to San Diego for college at San Diego State. He came home one Christmas and we were catching up. He knew about my background in surfing and he said, “If you really want to try and make a living at this, you need to move out of South Florida because there’s only so far you can go down here.” He said, “Why don’t you come out and live with me in Southern California? You’ll be traveling anyway so I’ll charge you next to nothing for a room. Leave your stuff and you’ll have a hub to come and go from.” California is the epicenter for media for surfing and it’s a good base to come and go. He said I should come and give it a shot. Sure enough, I loaded up my little Toyota Tercel and he was driving his Forerunner out. So we loaded up both cars and carpooled across (the country). Fast forward 23 years now and I’ve never looked back. CC How tough was it for you to get into the pro surfing circuit? TK I had a handful of sponsors at the time, and one of them was Matt Kechele’s Surfboards, which was based in Brevard County. He was a good friend of mine and I used to stay in his house often. He had a distributor in Japan for his surfboards and I started going to Japan and promoting his surfboards. Back then (Japan) only had a domestic tour. You only could compete over there if you were Japanese. By the time I moved to California, they had stops there for not the world tour but the qualifying series. It opened up to anybody, so I immediately started competing in those. I think the first year I won three contests. I went from a guy who was just getting some editorial (coverage) to “this guy is the next Kelly Slater.” It wasn’t true, but that’s the picture that they painted. So it was great timing and I was able to get to a whole new level with sponsors. Things fell into place for me. CC Did you surf most of the time in Japan? CC With all that you’ve done at an advanced level, have the competitive juices always flown for you, whether it’s been on a board or a bass boat? TK At the end of the day, I’ve always done it for fun, but if I’m entering a contest or a tournament, I’m entering because I want to win and compete against the best guys. Obviously the money’s awesome and helps pay the bills. But when you know you’ve beaten a field of 150 anglers or beat 125 of some of the world’s best surfers, that’s why you do it. That was one thing that was tough (eventually giving up surfing at around 25). You get to a certain age and with your body you know what you still want to do, but you just can’t physically do it at the level you want. It’s a bummer when you have to slowly step away from that. You always want to compete. When I transitioned from surfing I used to play a lot of cards. Let’s face it, it was gambling – but what I found in the tournament world I was still competing. CC How did your post-surfing career evolve? TK One of my first sponsors as a kid was Quiksilver, and I stayed with them until I was about 21 and I had moved out here so I went with a different company. And when that ended, I went back knocking on the door at Quiksilver. And they said, “We’re not going to bring you on as a 100-percent surfer, but we’ll bring you on as a surfer part-time and work you into a marketing position and build a future here.” I said, “Sign me up.” At the time, they were the Nike of the surf world and I wasn’t going to miss that opportunity. Over a 16-year run I worked my way up to one of the marketing directors. Eventually I got caught up in the corporate downsizing but they gave me a great package, which gave me time to sit back and realize what I wanted to do. 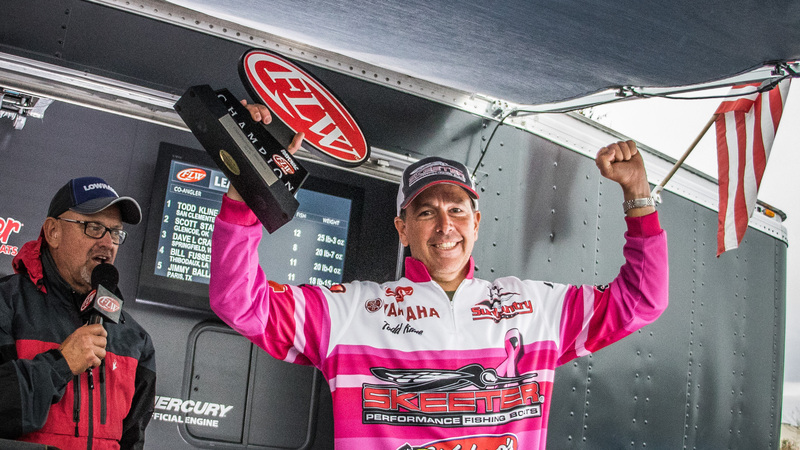 And then I did my first FLW tournament and in the first year I was able to win angler of the year (in 2013). And this was something that I really wanted to do. I thought, “I can’t make a living at it necessarily right now, but I how do I do this, pay the bills and feed the family? But the timing couldn’t be any better because at the time, the Association of Surfing Professionals changed hands to a new group and renamed it the World Surf League. They brought in a unified broadcast team for the world tour events. And I was able to join that team and that has been the nucleus of my income, traveling the world to the tour events as well as some of the qualifying series. 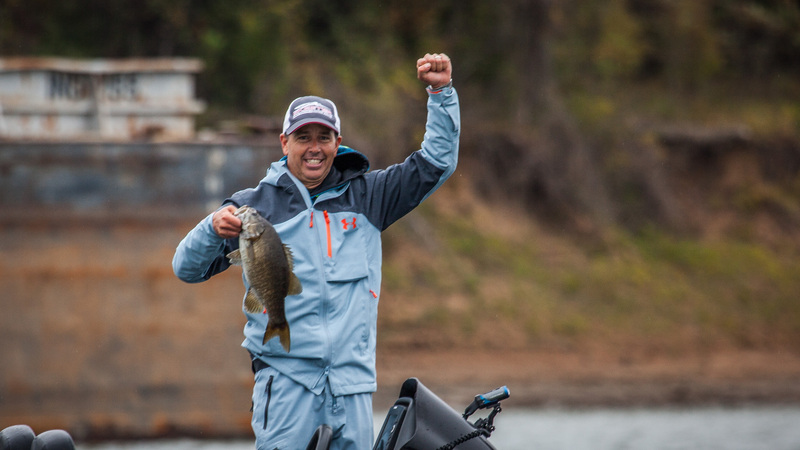 And I’ve been able to work with them on a schedule to give me the opportunity to fish the FLW events. And it’s come full circle. I’m living the dream life. CC How much do you enjoy talking about surfing now? TK I love it. I still get to travel to some amazing places. I just got to go to Western Australia near Perth, and (this month) I get to go to Fiji and that’s one of, if not my favorite place, to go in the world. There’s a small island called Tavarua, where the people are amazing. I’ve been going there for years, and I won’t see those people for a year and as I get off the boat with 50 other people, they’ll say, “Hi, Todd!” It’s so cool that they’re on the other side of the world and they still know my name. I love the job; I’m still passionate about surfing and how it’s continuing to evolve. CC Were you always thinking about fishing while surfing consumed you? TK In Florida I fished a lot more than I surfed, partly because it was so accessible there. Here, it wasn’t as accessible. When I traveled around the world, I brought along a fishing pole. I used to bass fish in Japan. When I got back here, I didn’t really get into (bass fishing) until 10 years after I moved to California when I stumbled across a little pond called Laguna Niguel with a buddy. 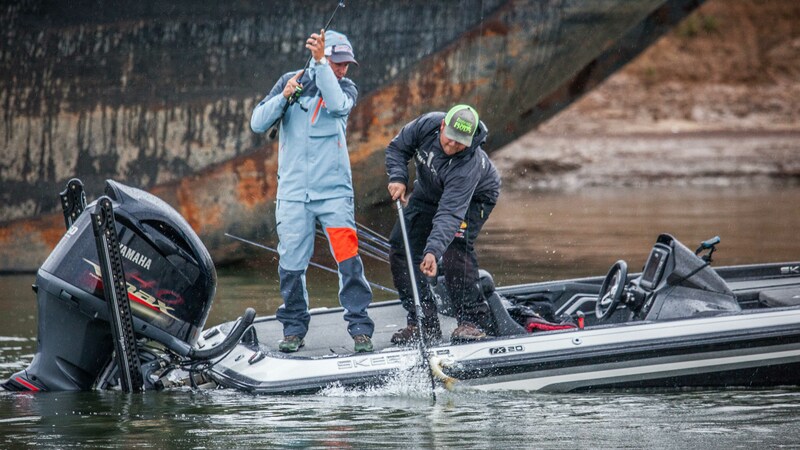 We crushed the bass, and six months later I bought a bass boat, and in another six months I started doing team tournaments. And I haven’t looked back since. CC And you can thank the trips to the casino for that. TK (El Capitan Reservoir) is right around the corner from Barona (in Lakeside), and I’d see a beautiful bass boat and I would ask, “Where are you going bass fishing?” I was almost shocked to see a boat. But I bought a lot of books and researched online – it was about the time the Internet was just kicking in – that highlighted all the different fisheries in California. You read about the bass in the teens and all the opportunities to catch giant fish. I was like, “Whoa, this is right here? This is a great place to fish.” And it’s not Florida but at times it can even be better than Florida. So that’s when I started to dive into it. 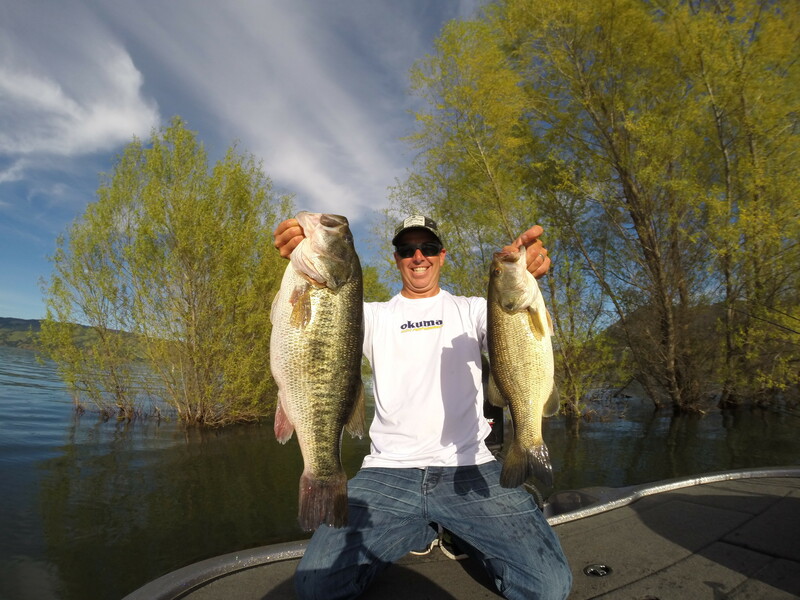 CC What’s the biggest bass you’ve ever caught in California and how about in tournaments? TK I actually caught two that were exactly the same – they were both (12 pounds, 6 ounces). The first one I caught early after the process started. I was fishing Lake Mission Viejo out of a rental boat and I had my wife with me. I was dropshotting a Roboworm in probably 25 feet of water. I got bit and set the hook and couldn’t move it. My wife was sitting back in the sun and I said, “Honey, I think I got a giant one.” As it was coming up you could see this huge fish. I had never seen a bass that big. Once it broke the surface I said, “Oh my gosh.” Probably four years later I was fishing Vail Lake (Temecula) with a friend, Art Hill, and we were throwing jigs. I got bit and swung and caught a fish just under 10; we were high-fiving and put it in the livewell and we were going to take pictures. I retied to make sure my knot was still good and fired right back on the spot. I felt the same bite and set the hook. I told Art, “I think this one was bigger,” and it was also 12-6. I had one fish over 8 pounds at, of all places, Lake Havasu on the final day of an FLW (event). And last year I got one almost 8 in the Delta. Those are my two biggest in tournaments. CC If that wasn’t enough, you’re guiding now (toddklinefishing.com). Where do you take your clients out now that you’re the one who’s the California bass fishing guru? TK I just started doing it this year, but it’s mainly Lake Perris and El Cap. For me, the lake I know most – and unfortunately it’s closed – is Diamond Valley. That’s going to be reopening and I’m super excited for that opportunity. I can’t wait for (San Diego’s San Vicente) to reopen. CC What’s the FLW experience been like? Editor’s note: For more on Todd Kline and his guide service, go to his website (toddklinefishing.com) and follow at instagram.com/ toddokrine. 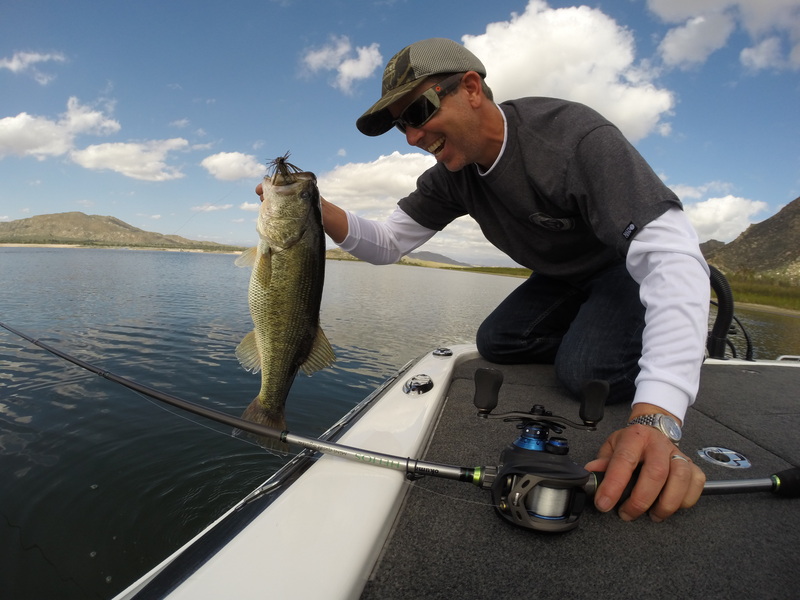 One of Todd Kline’s favorite bass weapons is a topwater lure, jerkbait or crankbait from Ima, a Japanese-inspired company based in Temecula. 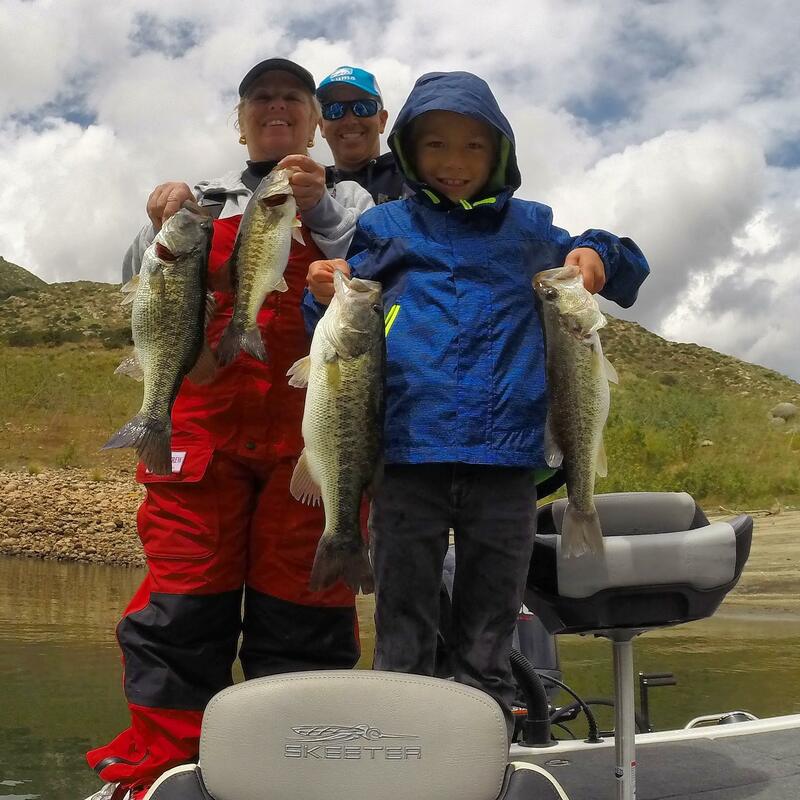 Kline’s experiences fishing at Temecula’s Vail Lake with his friend Art Hill, who regularly threw Ima products at hungry bass, introduced him to the brand. Kline thinks his time in Japan surfing and bass fishing also makes this a good fit for him to represent among his sponsors.